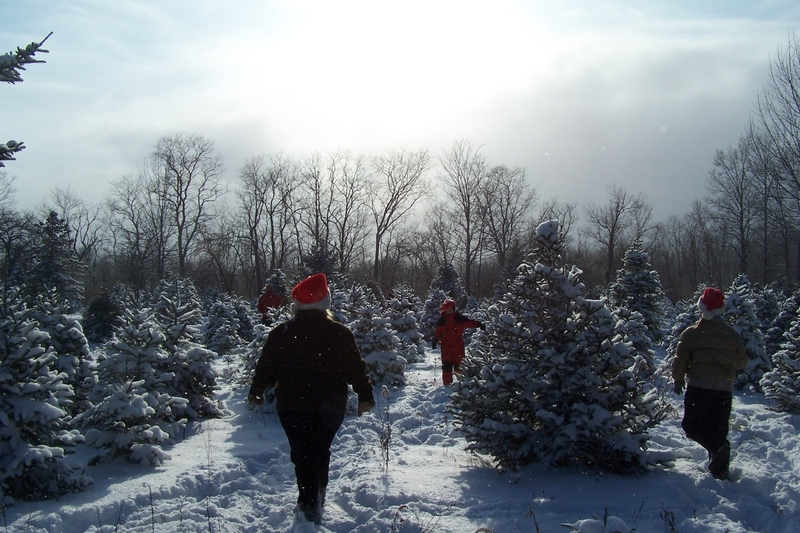 Winter in the Finger Lakes? Why not?! Recently our region captured national headlines when a fellow local tourism office figuratively waved the white flag, stating “That’s it. We surrender. Winter, you win.” If you want the full story, click here. It was a pretty funny joke and certainly garnered great attention for our region! While we could all use a good laugh and chance to commiserate after the long, cold winter we’ve had, this is also the perfect opportunity to remind ourselves of all the reasons why we’re still open for business in the wintertime and why this is actually a great time to visit! First, there’s the outdoor recreation! 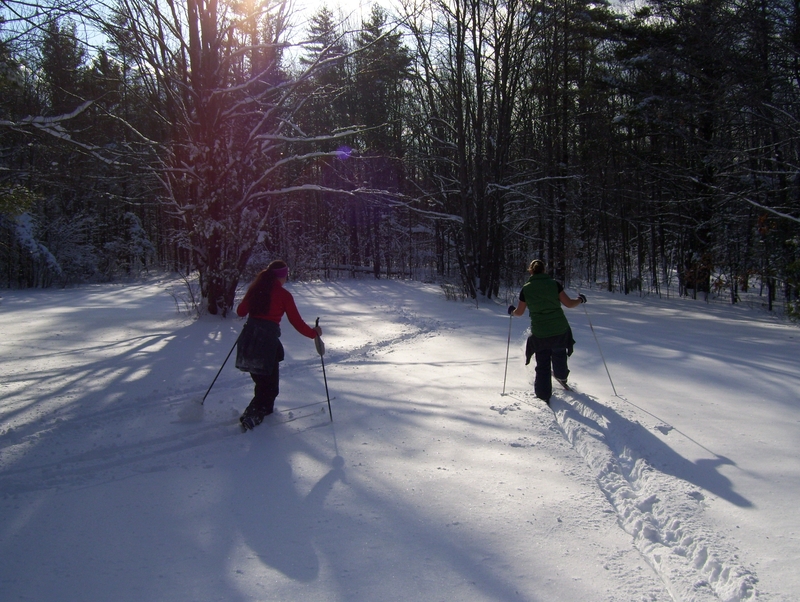 Snowshoeing, cross country skiing, horseback riding, and snowmobiling are just a few of the things you can enjoy in Schuyler County this time of year at destinations such as the Finger Lakes National Forest, Sugar Hill State Forest, or the Catharine Valley Trail. For horseback riding you can head out on the trail with Painted Bar Stables for a moonlight ride. Imagine how pretty that would be! 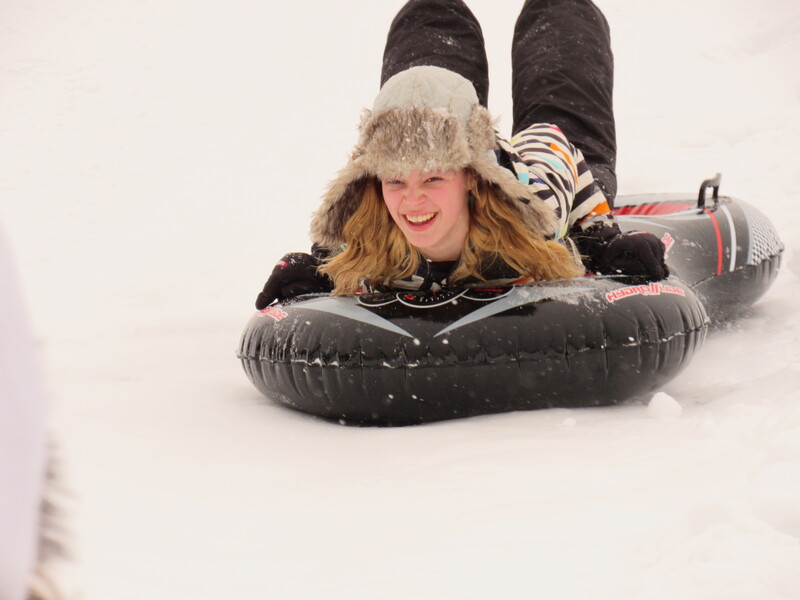 Activities abound in the winter – don’t be scared off by a little snow! 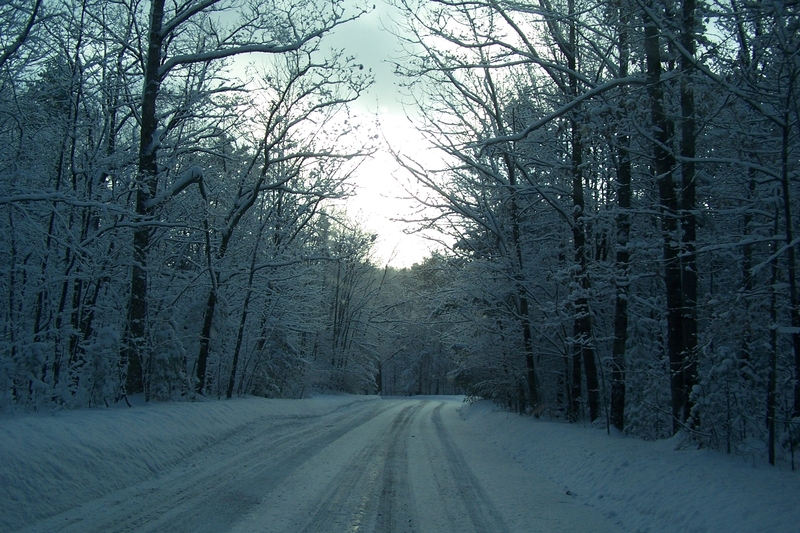 The sights and sounds are absolutely beautiful in the snowy season. After you’ve taken in the beauty of the outdoors, warm up at one of our cozy local cafes or wonderful restaurants. From fantastic coffee and lattes, to delicious homemade chili and soups to hearty Italian dishes – you will easily find a meal to fill your belly and warm your spirits. You could also do some wine tasting along the Seneca Lake Wine Trail, sample some fine spirits at Finger Lakes Distilling, or enjoy craft brews at Roosterfish Brewing, Heavily Brewing, or Wagner Valley Brewing. Glenora Wine Cellars offers a neat experience called Feast & Fest coming up on March 22nd – you’ll want to check out if you love food, wine, and live music. Barnstormer Winery also offers a great winter concert series on Thursday nights with great wine, live music, and a fun crowd. Visit their website for more info. There are loads of other fun and interesting events happening in our area (too many to list here) – but a great reference is the events calendar on our website. Check it out by clicking here. 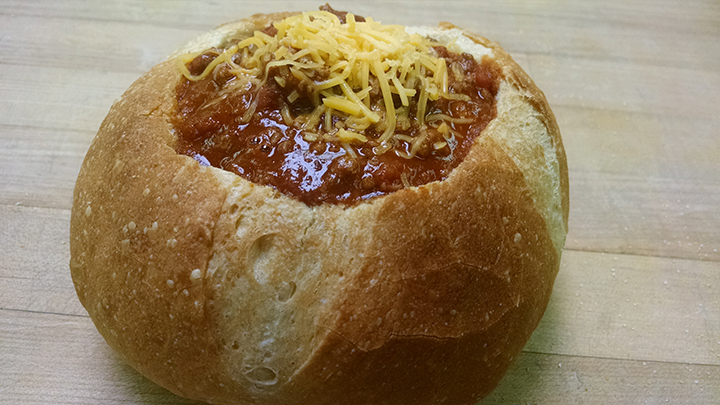 It may be chilly, but this will warm you up! Does this thing go any faster?! 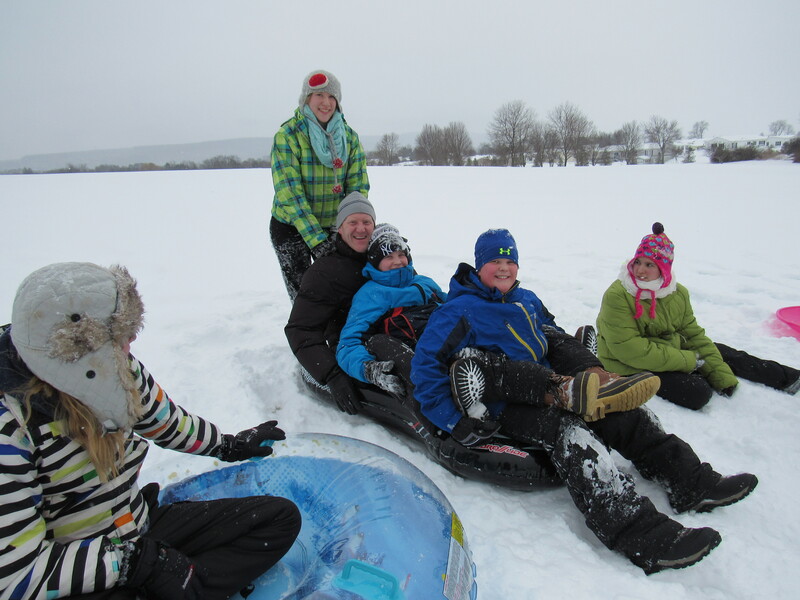 Valentine’s Day in Watkins Glen, Schuyler County, and Beyond! Of course, we have to start with flowers! There are several local flower shops that will craft the perfect bouquet for your Valentine, including Montour Falls Flowers & Gifts, Stillman’s Greenhouse, and Zeigler Florists. Beyond flowers, there are so many other great gift ideas. How about a gift certificate for a moonlight trail ride with Erika at Painted Bar Stables, wine from one of the stellar wineries around the Seneca Lake Wine Trail, dinner at one of our fantastic local restaurants such as Murabella’s Italian Steakhouse, Montour House Cafe & Tapas Bar, or Jerlando’s. Find the perfect gift at Famous Brands where you’ll find shoes, apparel, jewelry, outerwear, and so much more! If Jim doesn’t have it – you don’t need it! Did you know the Watkins Glen State Park Gift Shop is open year round?! Well it is! And they have loads of great stuff including souvenirs, jewelry, apparel, glass, and much more. Maybe you’d prefer to look toward warmer weather and book a boat ride with Seneca Wine Boat Tours or hot air balloon ride with Liberty Balloon Company. 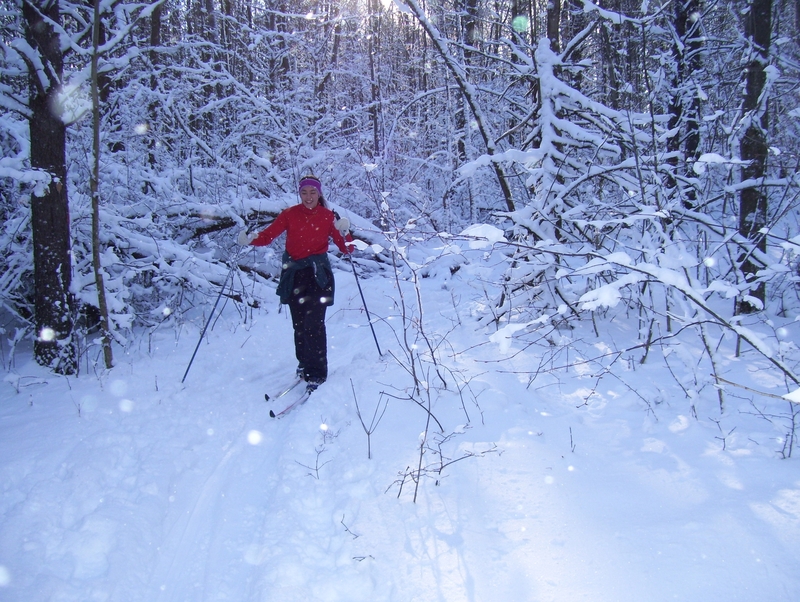 Nothing says I Love You like getting out and about in the Finger Lakes! Looking to get out and about and support a great cause at the same time? You could attend the Humane Society of Schuyler County’s Mardi Gras/Valentine’s Day event at the Community Center on Saturday at 6pm with delicious food, wine and beer tastings, Zydeco music, and more! Pamper your loved one with a gift certificate or visit to New Image Hair Network, Simply Your Best, or a wonderful massage at Watkins Glen Massage. Oh, and why not close out Valentine’s Weekend with delicious brunch at FLX Wienery on Sunday? Phew! With so many great places, people, and things in our area, there is no reason not to shop small year round. My name is Brittany Gibbs. I’m the Tourism and Marketing Manager at the Watkins Glen Area Chamber of Commerce, and this is our very first blog post! Some of you might be asking – what is a blog anyway? Well, you can think of a blog as a journal, made public. Ours will be a combination of things but at its core, our goal is to inform, enlighten, and of course, entertain! I plan to share information, stories, insider tips, and more with those who know and love Watkins Glen and Schuyler County – and those who want to get to know it better! Right now the plan is to post once or twice a month – we don’t want to inundate you or overdo it. But of course, as things start to move along, we may share more often. Chamber President & CEO Rebekah LaMoreaux may also post on occasion, so be on the lookout for her here as well. Do you have an idea for a post? Questions about something we share? I’m only an email or phone call away and I encourage you to reach out! My email is brittany@watkinsglenchamber.com and my my telephone number is 607-535-4300.